This letter is from Shaykh Fadhlalla Haeri, a contemporary Sufi Teacher who is now based in South Africa and this letter address to all who love humanity and who seek peace. May its message reach our heart, reach your heart and beyond. Reality and the way of Allah have its rules, regulations and governance which affect the transient world of shadows and dualities in our dunya (this world). In order to be fully established in the new realm you need to be constantly aware of the light in your heart and be serious with the seven points that I will append below. The path of liberation is like a narrow winding, mountain pass which requires caution, attention and disciplined maneuvering. On the other side of the pass you will be astonished at the different vistas and views. It is only then that you begin to enjoy the freedom of your soul and will consider dunya(this world) as most insignificant and something of the past. It is from that stage onward that you can help others who are ready to take on the call of liberation and awakening seriously. You must remember at all times that you are no longer the same as you were a few months ago. Do not compare yourself with others who were your friends relatives and colleagues, they remain in the confusion of dunya whilst you are almost entering NA KUJA ABAAD (the place which is not a place). Most human beings are drugged sleep walkers. Rumi said regarding these people, sit, be still and listen, for you are drunk, and we are at the edge of the roof. This spiritual advantage you have open up vistas of consciousness that are not available to others. Like all advantages it comes with a condition as in this case, that you cannot go back for the path is one-way traffic. So comparing your state or desires with others will bring about confusion. Please consider at all times seriously the following points. 1. 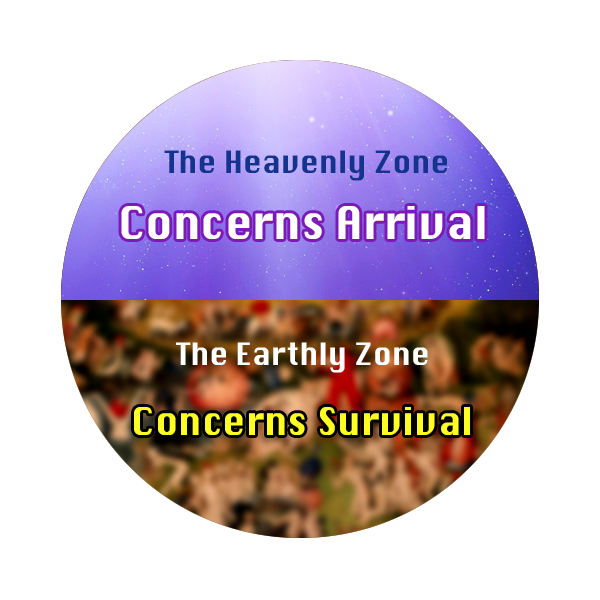 Human life is divided into two zones, one is earthly and concerns survival and the other, heavenly and concerns arrival. Islam is based on a spiritual map that clearly defines the mental zone and duality as well as the zone of soul, spirit and absolute unity. Both are in us and as we grow in wisdom we lose the former and live by the eternal light of the Ruh(soul). The closer one gets to that state the more one needs the realised teacher for there are certain dangers during the journey to the ultimate. You will discover Mohammed’s light in your heart for the truth regarding all of humanity is only that. 2. So long as we are in this world, ‘Hijra’ (migration) both literally and metaphorically has to be undertaken. Hijra from fears, anxieties, sorrow and all other mental emotions to the light within the heart. Hijra from people of dunya to beings of akhira (hereafter), hijra from anyone who pulls to the grave of the dark mind. We need to constantly disconnect with the past and be on spiritual wudhu every instant. 3. Be in the infinite presence at all times for it is from this infinite instant that the past and future draw their energy. We must desist from speculating and projecting about the future and the images the mind may present as desirable. We can never plan for a happy future but we can however plan minimally regarding material issues such as living in a pleasant home. If I am happy now and I can tap into that state in a sustainable way then I know that the future will be the same. 4. The mind is described by our Master Mohammed as the Shaytan for it is through that, that we can relate to dunya and without it the child will not grow to be that awakened adult. This Shaytan is the trick of Rahman and is the starting point in every life. Please safeguard your mind from wondering off for that is what makes the ego and generates dark clouds which can only cause regrets, doubts, depression and misery. To sublimate the mind we need constant dhikr, special verses of Qur’an, other indicators and beams that take us back to the light of the ruh. Being in constant wudhu is a good crutch and whenever the darkness of the ego touches one, the wudhu should be renewed. 5. Selfless work. Even the most mundane activity can be given a higher purpose. Whenever I do dishwashing I think of the purifying effect of water and how every time I touch it I am reminded of its spiritual energy. Awareness and remembrance of the spiritual teacher will always help to lift ones work and sublimate it as a service dedicated to Haqq. The role model of the teacher is to be absorbed in one’s heart so that his inner authority is transferred to one’s own heart. A time will come that all of ones actions and thoughts become blessed and the ego becomes a faint shadow. This state is accompanied with bewilderment because you see thousands of other people as vicious creatures and animals living their ego with no awareness of the treasure of the Ruh. All of life on this earth is afflictions and difficulties but the compensation of living the Ruh overcomes all of the negative side. 6. Earthly challenges and difficulties will persist until the soul is released from the body and mind. Earthly turbulences however, become subtle and mild when the Ruh rules supreme within the heart. Once you are secure with the light of Rahman then the shadows of shaytan becomes insignificant although they are always lurking there. 7. We are heavenly creatures, brought down to earth as human beings in order to appreciate fully the perfections and balance of duality and the bliss and joy of unity, which is the abode of Jannah. Our reference, refuge and sanctuary is Allah whose light is the Ruh within the heart. Let your spiritual anthem be: Astagfirullah, Mashallah, Subhanallah and La ilaha illallah. Shaykh Fadhlalla Haeri is a Spiritual Teacher, Thinker and Author whose teachings combine knowledge and experience of the spiritual wisdom of the East with a practical and first hand understanding of the West. Shaykh Fadhlalla was raised in a family of several generations of Islamic spiritual leaders in the Holy City of Karbala. 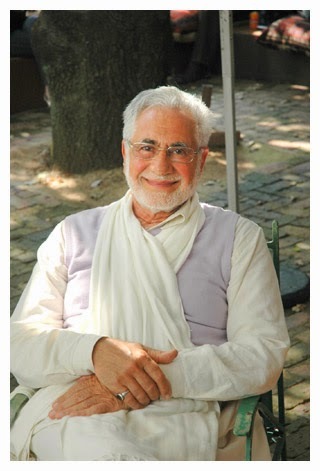 Educated in Europe and America, he worked in the petroleum industry and was an international businessman, all of which he eventually abandoned in pursuit of spiritual knowledge. Shaykh Fadhlalla subsequently went on to establish Zahra Trust, a charitable foundation, with activities in several countries spanning education, health and publishing. His re-discovery of the universality of the true Islamic heritage enables him to understand and relate to the spiritual quest wherever it may arise, irrespective of culture or ethnic diversity. One of his main aims is to make accessible to younger generations the Prophetic way of life, through the discovery of the root and foundation of the divinely revealed message and its ever present perfect Creator.